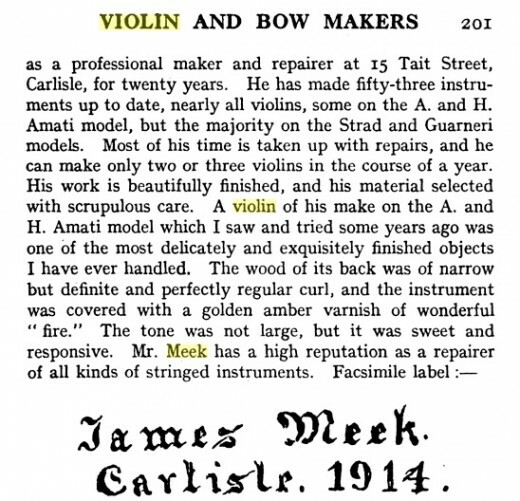 This is a very interesting “Arts & Crafts” English violin by James Meek, a professional maker and restorer listed in “British Violin Makers” by W. Meredith Morris. 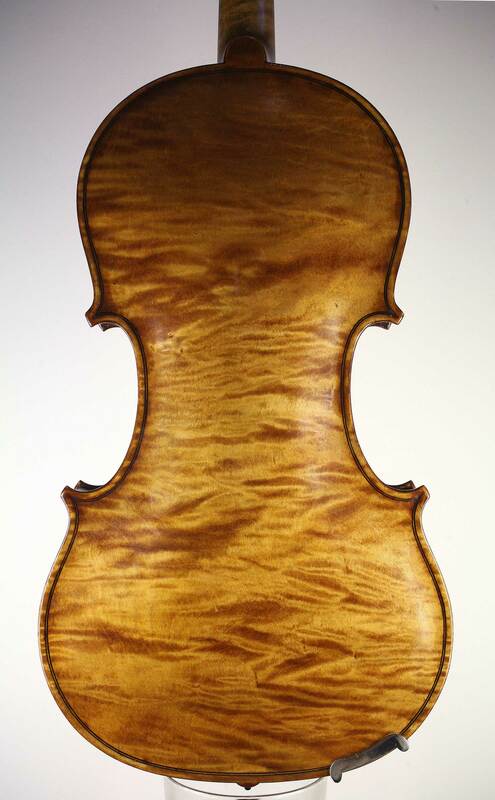 Meek often worked with beautiful and unusually figured sycamore, and his varnish is unique. 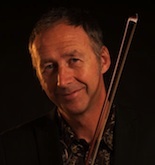 The wood chosen for this violin is exceptional, and shown off to great effect by the very refractive varnish. 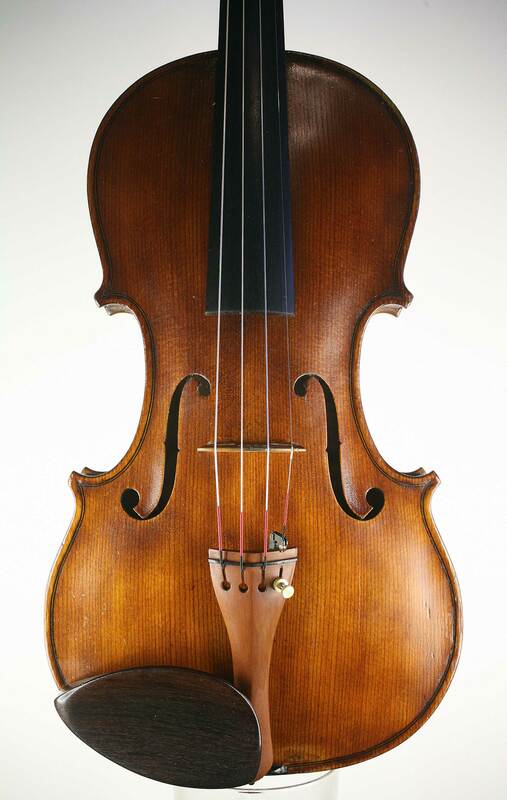 The work is superb and distinctive, with nicely fluted f-holes, a personal but beautifully proportioned scroll, and bold arching to the wonderfully figured back.